We had an amazing weeks holiday staying here. My husband and I have a 7 year old and a 5 year old and the apartment and pool was perfect for us. 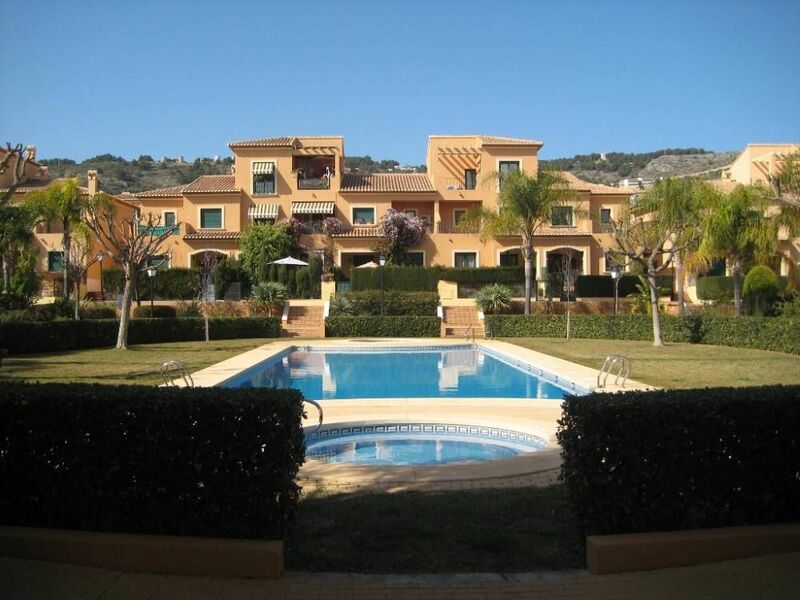 We have been holidaying in Javea for many years now and this is one of our favourite apartments we’ve stayed in and I cannot recommend it enough. Nacho was extremely attentive in checking we had all we needed such as WiFi and all was ok with our hols. La casa era increíble, equipada con todo y cuidada hasta el mínimo detalle. Es una urbanización muy tranquila con una gran piscina y bonitos jardines. Nacho el dueño muy atento y amable en todo. Y aunque no esté a pie de playa en 5 mtos en coche llegas a la zona de el Arenal o al puerto. Jávea en un pueblo precioso de Alicante. En resumen una semana maravillosa llena de bonitos momentos !!! Wir haben uns in der Wohnung sehr wohl gefühlt. Es war wirklich alles da. Nacho war sehr aufmerksam und hat von sich aus zwischendurch nachgefragt, ob alles in Ordnung ist. Er antwortet immer sehr schnell und freundlich. Die Lage der Wohnung in Jávea war für uns perfekt. Es gibt überall Spielplätze und nette Cafés und Restaurants, die meist von Spaniern besucht wurden, was uns sehr gefallen hat. Einkaufen ist überall möglich. Wir empfehlen die Wohnung sicher weiter! Cette location est très agréable. L'appartement est beau, propre, spacieux. Il est très bien équipé. Sa localisation permet de faire des promenades à pied, que ce soit dans le centre de Javea ou sur le port. La piscine commune est super. Les espaces communs sont très bien entretenus. Le seul petit bémol est le manque de lumière sur la terrasse le soir. Estancia perfecta en todos los aspectos. Wij hebben hier een heerlijk weekje gehad in november. Het espresso apparaat maakte dat we ons helemaal thuis voelden. De T.V. mag wel wat moderner. De woning was schoon, alles was gloed onderhouden. Rustige omgeving, haven en strand 8 á10 min. lopen.